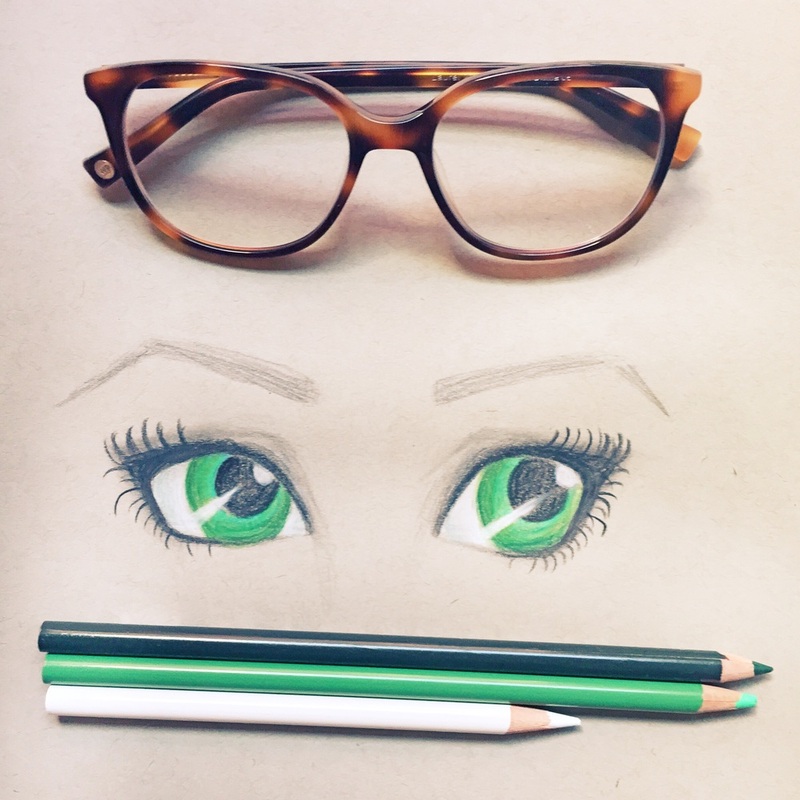 Green Eyes Sketch on Toned Gray Paper with Colored Pencils. I've been focusing on drawing faces recently. Something I have always found challenging, it is amazing to start to see facial features come to life. I am particularly inspired by the eyes, and their ability to express so many different emotions. Ive found sketching on gray toned paper to be very exciting. Layered colored pencils can quickly come to life and white really "pops" adding so much to the sketch. More portrait studies to come!